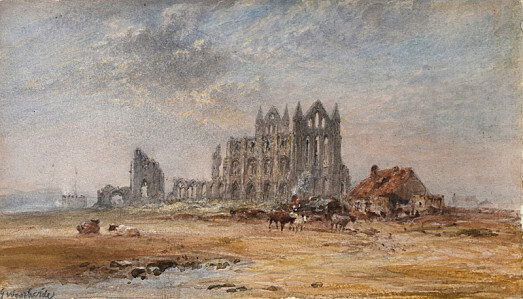 One of Yorkshire’s finest watercolourists, George Weatherill spent his entire life in the Whitby area. 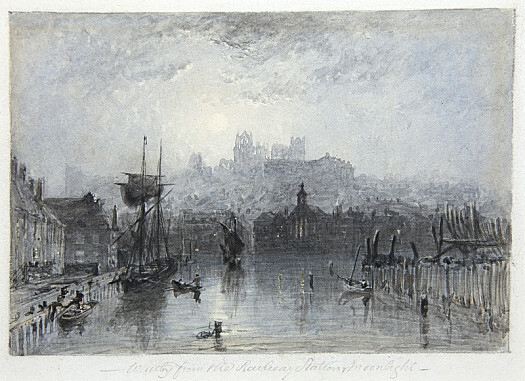 Though painting only in his spare time until the age of 50, he developed such a reputation as an artist that he became known as the ‘Turner of the North’. 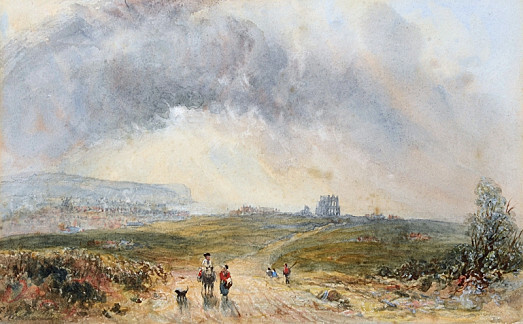 The second son of a Yorkshire farmer, George Weatherill was born in the fishing village of Staithes on 18 September 1810. A delicate, intelligent child, he spent much of his spare time down by the shore sketching in the sand. It was decided that he would be best suited to a clerical career, and he was apprenticed to Garbutt, a solicitor based then in Guisborough and later in Yarm. 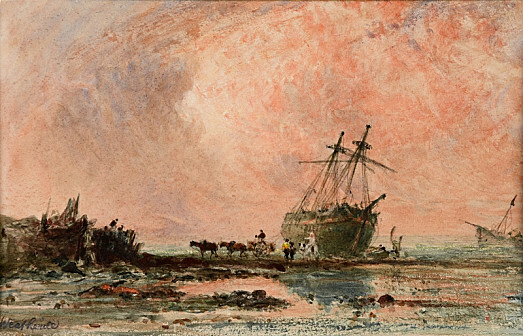 During this apprenticeship, he became acquainted with George Haydock Dodgson, a local painter, who discovered and developed his artistic talent. At the age of 20, he moved to Whitby to work for Henry Butcher, later joining the staff of the bankers Simpson and Chapman. 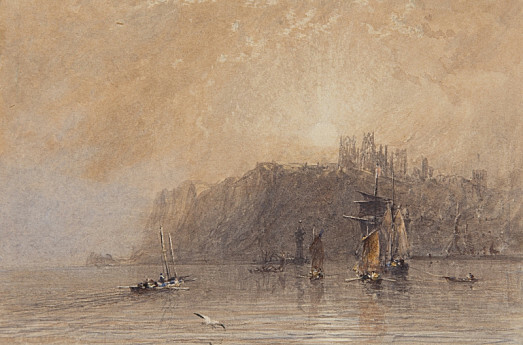 Yet he painted whenever possible, exploring the surrounding villages and towns in order to find picturesque compositions, and even rising early to study the sunrise. Once his position of the bank was assured, he was occasionally sent to London on business, and was eventually promoted to Chief Cashier. During his stays in the capital, he would visit the National Gallery, and gradually taught himself Italian so he could read the Italian works on the Florentine, Roman and Venetian Schools. 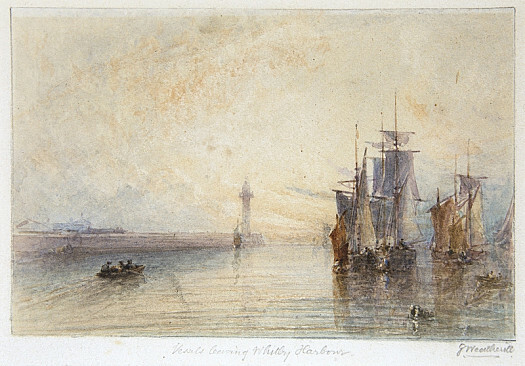 Becoming particularly inspired by the example of J M W Turner, he made a number of engravings of his work. As if to emphasise both his quality and his status as a resolutely local artist, he was dubbed the ‘Turner of the North’. 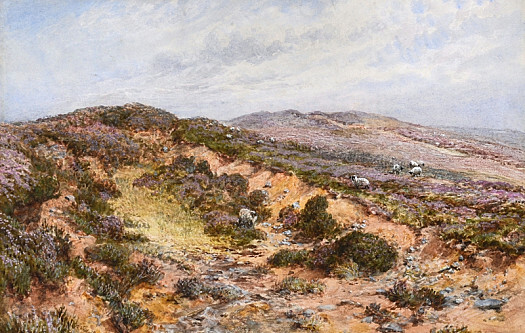 He exhibited a mere half dozen pictures in metropolitan exhibitions, at the Society of British Artists and the Dudley Gallery, and was mainly patronised by Northern industrialists and merchants. The pressure of balancing two careers led Weatherill to have a nervous breakdown and, in 1860, at the age of 50, he resigned from the bank. On regaining his health, he returned to his painting and soon earned more from his painting alone than he had from both banking and painting. 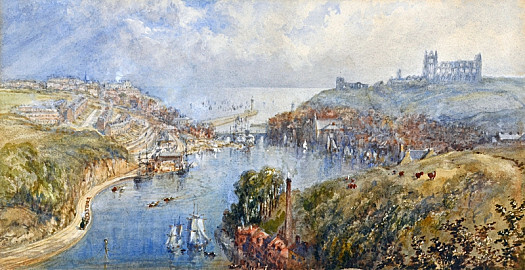 As a local celebrity, he would certainly have met painters visiting the picturesque Whitby, and probably knew Alfred William Hunt who often painted in the village. 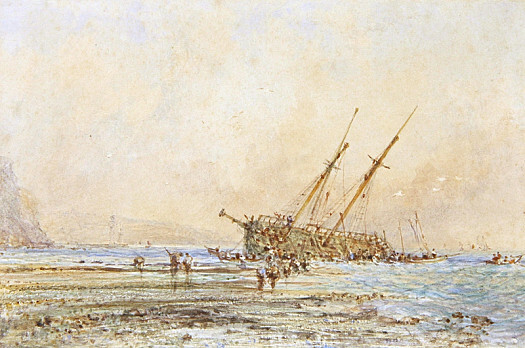 He died on 30 August 1890 and is buried in Whitby cemetery. 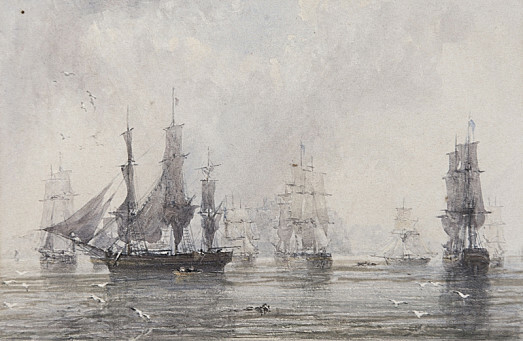 In turn, his application encouraged his children to become artists; his son Richard and his daughters Elizabeth, Mary and Sarah Ellen continued and extended his approach to painting.